The latest version of the AC-130J Ghostrider gunship has been delivered to the 4th Special Operations Squadron. The 1st Special Operations Wing said in a news release Wednesday that the gunship is the first Block 30 Ghostrider for Air Force Special Operations Command and U.S. Special Operations Command. It was delivered to the 4th SOS — which is based at Hurlburt Field in Florida — in a small unveiling ceremony at Bob Skies Airport in Crestview, Florida. The US Air Force (USAF) has awarded Lockheed Martin a sole-source contract to replace the centre-wing section on an undisclosed number of C-130J/C-130J-30 Hercules transport aircraft, the service disclosed on 3 March. Japanese police have opened an investigation after someone pointed a laser at two Yokota-based C-130J cargo aircraft Monday evening. The incidents occurred near Yokota Air Base in western Tokyo at around 6:30 p.m., a Fussa Police Department spokesman said Wednesday. A green laser targeted the Super Hercules from the ground somewhere in the Tokyo town of Mizuho, according to the Mainichi newspaper. It did not cause any damage or injuries and the aircraft did not change course. New Delhi: The Indian Air Force has found that one of the chief reasons why a brand new C-130 J Super Hercules aircraft crashed in 2014 and killed five crew members, including the pilots, was “inadequate training”, according to the Comptroller and Auditor General (CAG) report tabled in Parliament Wednesday. What’s shocking about this finding is that a simulator for this aircraft had been available since 2012, but was used for training only in 2016 because the IAF and manufacturer Lockheed Martin could not finalise a usage contract. Less than 10 minutes after the aircraft took off from Agra on 28 March 2014, it crashed 115 km west of Gwalior while on a routine training mission. Two wing commanders, two squadron leaders and another crew member were killed in the crash. The Indian Air Force had first bought six C-130 J aircraft, meant for special operations, through the Foreign Military Sales (government-to-government) route in 2008 for $962.45 million. The IAF later went in for procurement of six additional aircraft through the same route. The aircraft is meant for special mission roles, and is fitted with an infrared detection set, enabling precision low-level flying. The aircraft can land on unpaved surfaces and requires a very short take-off and landing space. It has proved to be a huge asset for the Indian military. 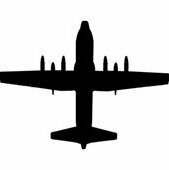 The CAG noted that one C-130J-30 aircraft procured under initial contract met with a “CAT-I fatal flying accident” in March 2014. “Investigation concluded inadequate experience and training of the crew as one of reasons for the aircraft and recommended operationalization of Simulator for C-130 J30 at the earliest as one of the remedial measure (sic),” the report stated. The audit observed that the simulator was provided by the vendor, Lockheed Martin, “against contract of January 2009, on a user rate payment basis”. It noted that despite the installation of the simulator in December 2012, training could not be imparted for more than three-and-a-half years to pilots (December 2012 to November 2016) due to non-finalisation of usage contract. “The simulator was installed but could not be put to use due to non-finalisation of usage rate contract by IAF. Usage rate contract was signed (August 2016) and training on simulator actually commenced in November 2016,” the report said. The defence ministry accepted the delay in commissioning of training simulator, though it stated that inadequate training was not the primary reason for the accident. “However, (the) audit noted that the IAF investigation report had pointed out inadequate training as one of the reasons for the accident,” the report stated. Sorry for all the questions. SO I fully understand: How much fuel is in the number 2 tank? Do you turn ON the fuel boost pump in the number 2 tank when operating the APU? When you start the APU it will run normally with the bleedair valve CLOSED and generator OFF; WILL it run for more than 20 min in this configuration? Will the APU run with the bleedair valve OPEN and gen OFF for more than 20 min? When you turn ON the GEN how long before the APU stops? The Multiple Centrifugal Switch has been changed! Yes! 20 minutes after starting the APU stops! Thank you very much. We will follow your recommendations.